Previous postJanuary 2013 Piano Party! My students and I love the Martha Sherrill Kelsey “Martha n’ Me” duet books. They are great for beginner and elementary students. C. S. Theme and Variations By Randall Compton…Very funny ! I love that duet, Francisco!! Carol of the Bells – Robert Vandall. Intermediate. Sounds impressively harder than it is. “Racing the Wind” by Robert Vandall is also very fun – more of an early advanced solo – and he has several other duets that I loved playing as an older student, and many of my students love as well. Also the C.S. Theme & Variations mentioned above is amazing as well!! So fun to perform and watch!! Great topic! 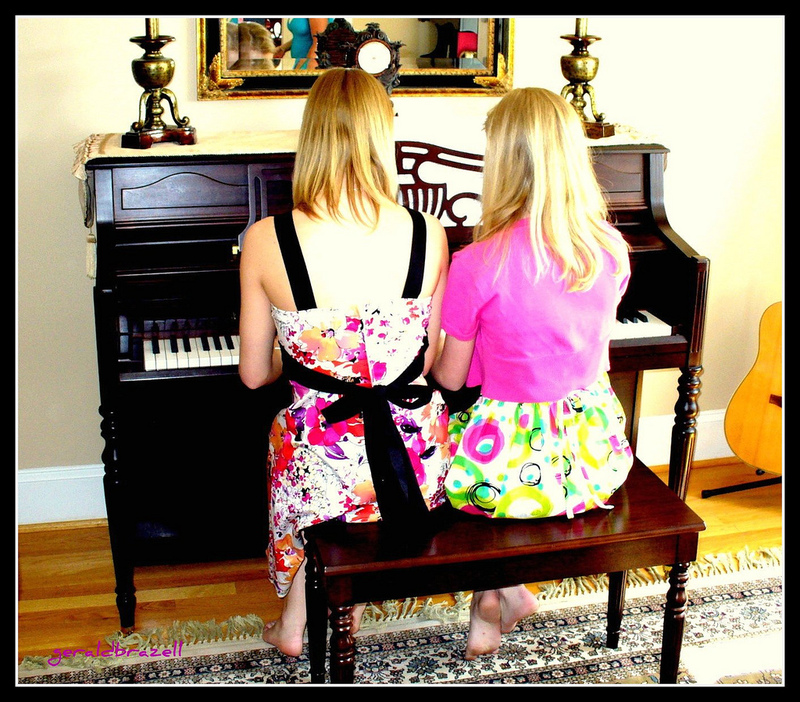 LOVE duets–we do several at our Spring Recital. A few intermediate favorites: Carnival for Two (C. Rollin); Turquois Skies, Ostinato Barbaro, and Allegro Festivo (R. Vandall); Windrider, Race to the Peak, and Hungarian Rhapsody No. 2 (arr.) (M. Bober); Funtasia in F Minor (C. Miller); Sicilienne (arr. T. Brown). An all-time late elementary favorite: Copycat (C. Matz). Our local teachers’ group is planning an all-duet recital for next fall! I’ll be watching for more suggestions. I’m working on the Norwegian Dance by Edvard Grieg with my son. It’s Intermediate level and quite fun. wonderful for beginners: “Animali Domestici” by Mario Consiglio – very cute little pieces! Lady Gaga Fugue! I have twelve-year-old twin boys playing this – it’s fantastic! I just saw that one the other day! Looks so fun. I also love All-American Hometown Band, and Bizet’s Le Bal. One of my current favorites is “Spotlights on Duets” published by FJH. It is part of a series of 3 graded books. Book 3 contains intermediate/late intermediate duets of familiar pieces such as Canon in D, a selection from Scheherazade, Sicilienne (mentioned by another commenter), and a couple Sousa marches. Two all-time student favorites: “The Race” by Carolyn Miller (early intermediate) and “Big River Barn Dance” by Carrie Kraft (intermediate). I like the Carol Matz series “Famous and Fun Duets” and “Famous and Fun Pop Duets” – lots of familiar tunes and there’s something for every ability level. Like Dana, I also use Famous & Fun Pop Duets by Carol Matz. My pupils really love playing them and it has improved their efforts towards better timing like nothing else I can think of ! For more advanced pupils I have used “The Music of Andrew Lloyd Webber (Piano Duet Play-Along) by Hal Leonard. This book of duets comes with a CD that can play either secondo or primo whilst your pupil is at the piano. Wonderful for home practice for the student. I love “Easy Classical Duets for Teacher and Student.” There are 3 different levels of books, and the first one has a really simple part for the student and a teacher part that really spices it up. My students love them! Dennis Alexander has a series called “Jazz SophistiCAT” and I enjoy the 2 duet books for late elementary-intermediate students. It gives students a taste of jazz piano history and styles while being quite fun to learn and perform. For duets, The Spanish Tornado by Noona (Level 4), The All American Hometown Band (Level 4) by Noona, C.S. Theme & Variations by Randall Compton, The Midnight Horseman by Eben, Rhythm and Boogie by Bastien (Level 3), Palomino Gallop by Bober, Diamond Sonatina by Vandall, Rondo by Mozart, many of the Diabelli duets especially the E Minor and The Wanderer, Happiness Runs and Bluebird on My Shoulder by Faber and any version of Heart and Soul as improvised by students of all ages and levels! Debra Wanless has a wonderful selection of duets, trios and 2 piano-4/8 hand pieces for all grade levels at http://www.debrawanless.ca. My students love these and we look forward to having an ensemble recital in the Spring. Love the duet suggestions! am looking for piano/violin duets for late elem. early intermediate students. Also piano/flute. Will welcome any suggestions.